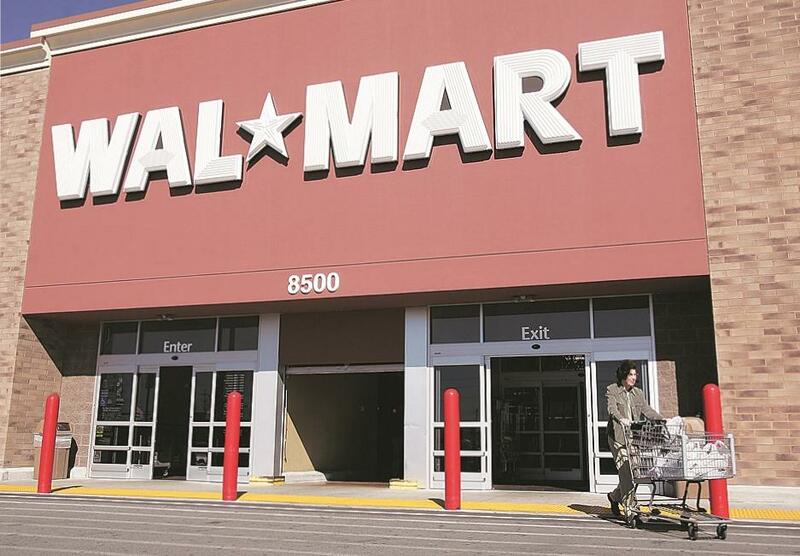 Walmart is preparing to hive off digital payments firm PhonePe from Flipkart Group as an independent entity and is looking to attract external investors into PhonePe, two sources privy to the talks said. “The discussions have already happened between PhonePe and the Flipkart board. Sameer (Sameer Nigam, the chief executive at PhonePe) has spoken to Walmart about the spin off. They are figuring out the structure they will adopt for the business, whether to have the company listed in Singapore and how the cap-table will be aligned,” said one of the persons privy to the talks. Walmart wants to focus on consolidating the e-commerce operations and narrow losses, sources said. The US-listed company is under pressure to show progress on its bet on Flipkart, especially after the new e-commerce rules in India, said to be restrictive to foreign-owned firms, cast a cloud of uncertainty over anticipated long-term gains from the deal. Walmart acquired 77% stake in Flipkart for $16 billion in May last year. 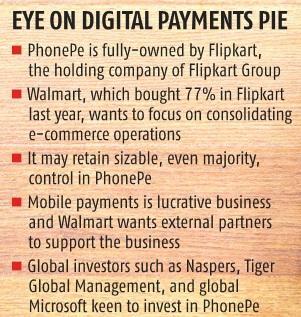 As per internal talks reported by sources, Walmart may retain sizable, even majority, control in PhonePe, which is operated by PhonePe Pvt Ltd listed in Singapore. The entity is fully-owned by Flipkart Pvt. Ltd, Singapore, the holding company of Flipkart Group which includes Myntra and Jabong. While it is lucrative, mobile payments is a cash-guzzling business and Walmart wants external partners to support the business. In 2018, PhonePe received funds totalling to Rs3,280 crore, approximately $477 million, from promoter entities. Only last week, Walmart infused another Rs743 crore into the firm to support growth efforts like advertising and PhonePe discounts on third-party services. Sources said there is in-bound interest in PhonePe. Naspers, the South African media conglomerate and an active large investor in Indian internet companies, may be considering to invest. In payments, Naspers is a major investor in PayU, a payments gateway firm. Naspers was a major investor in Flipkart until the Walmart deal, which gave it a good oversight into PhonePe. Another Flipkart investor Tiger Global Management, which made a fortune selling most of its stake in Flipkart during the Walmart deal, is looking for fresh investments in India, and may consider investing in PhonePe directly, sources said. Another name floated in discussions is Microsoft, which expressed interest to invest in Flipkart back in 2017. In May, Walmart had committed to infuse $2 billion fresh capital in Flipkart to support operations, and was open to bringing in new investors into the e-commerce company. “Walmart's investment includes $2 billion of new equity funding, which will help Flipkart accelerate growth in the future. Walmart and Flipkart are also in discussions with additional potential investors who may join the round, which could result in Walmart's investment stake moving lower after the transaction is complete,” Walmart had said in the press release announcing its acquisition of Flipkart.